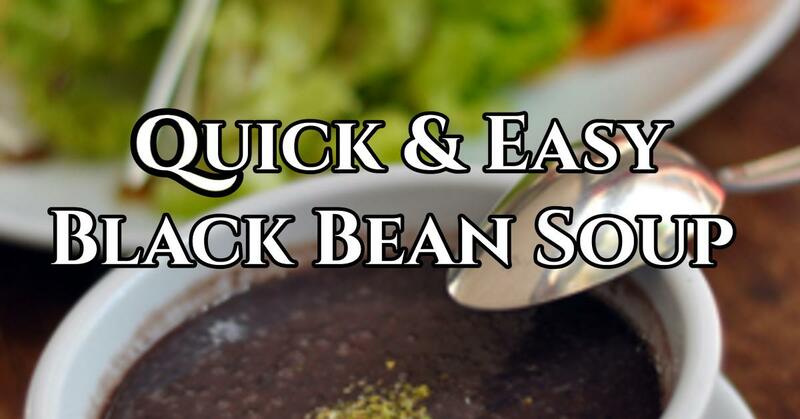 If you need to throw together a quick lunch or fix an easy weeknight supper there’s nothing better than this quick black bean soup recipe. By using canned black beans, the cooking time is greatly reduced. Compare this to fixing a black bean soup from dried beans like this recipe here. This is a hardy soup that will fill you up. 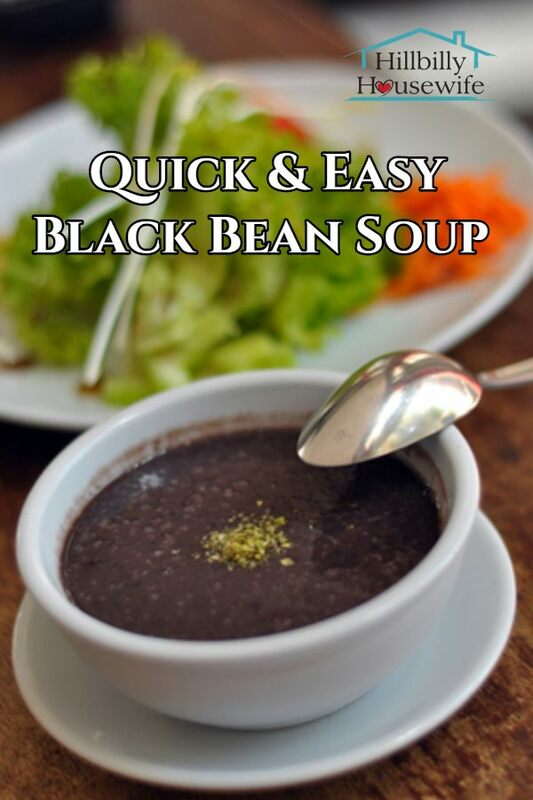 If you keep a few cans of black beans on hand, or cook up your own from dried beans ahead of time and store in the fridge, you will usually have everything you need to prepare this simple soup. Now let’s talk about toppings. Toppings are what makes the soup if you ask me. Look through the fridge and grab some plain yogurt or sour cream, shredded cheese, chopped onion, hot sauce and the likes. Or make a few hard boiled eggs, slice them, and use them to top your soup. Heat the olive or other type of vegetable oil in a large saucepan. Add the onion, carrots, celery, green pepper and garlic. Saute until the vegetables become somewhat tender and very fragrant, about 5 minutes or so. Add the chicken broth and black beans. Stir the soup up and let it simmer for about 20 minutes, or until the vegetables are tender. Now, if you have the time and inclination get out your potato masher. Mash the soup in the pan with the potato masher until it thickens slightly and the vegetables are mostly squishy. You don't have to do this step, but I like the way the texture changes after the soup is mashed. 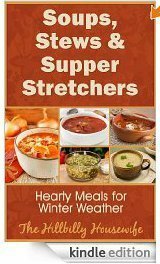 Serve the soup with a dollop of yogurt on top if desired. Don’t forget to check out the other bean recipes on the site, including this bean and bacon bit soup recipe.